This is another thing way of making a person sympathize with a German soldier (aside from making clear he's not a Nazi) put him on the Russian front. Stalin was just as bad as Hitler. He actually killed more people than Hitler, though I imagine that was because he won and Hitler lost. If the Nazi's had won (don' ask me how) they were planning to enslave and/or exterminate the Slavic race. Just wait until next week, when I review BLOOD & ICE. Probably one of the grimmest books I've read since I stopped reading Warhammer 40K media tie-in novels. Glad to hear there are some good battles. I am a big fan of war/military pulp fiction and have a big collection of these types of books. I picked up the first Panzer Platoon and did not like it. The reason being was the way the story was being told, with the little vignettes instead of one over all story line. The series cover art for the books was pretty good though. 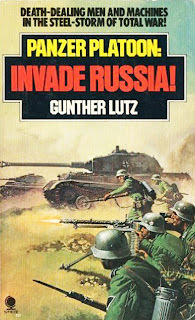 Like yourself I have not been successful in finding out who Gunter Lutz is, at first I thought he was Charles Whiting but the writing styles are very different. I've now read five of the six Panzer Platoon books, and although I'll address this more in upcoming reviews, I find my biggest problem is the lack of "epic-ness" in all of them. 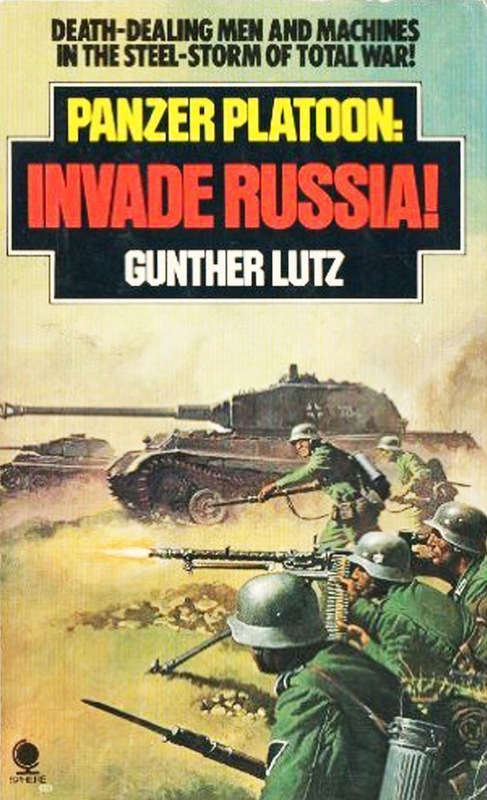 The fifth book, DEATH RIDE, covers the battle of Kursk, the biggest tank battle in history, but the story itself has almost NOTHING to do with "the biggest tank battle in history", and instead goes off on a jaunt. A real letdown, actually. This series had the potential for some AWESOME tank battles, but very rarely delivers (the very un-epic Battle of Arras in the first book was a prime example of this syndrome early on...).